It looks like our beloved Google Reader AND Google Friend Connect (GFC) are going the way of the Dodo. 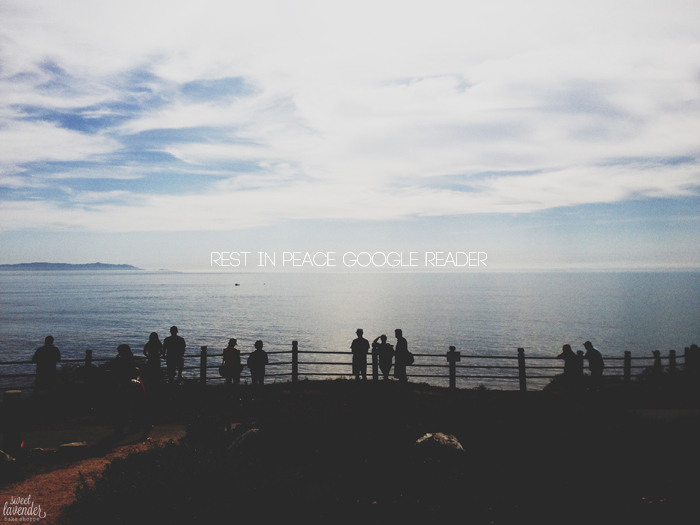 usage of Google Reader has declined, and as a company we’re pouring all of our energy into fewer products. We think that kind of focus will make for a better user experience. Not only is/was the Google Reader a great way to have all one's blogs they follow, in one tidy place- it was also (as I'm sure was most people's cases) used constantly- if not multiple times a day! Grrr. They are giving us all a few months of a window to find some sort of new home for our beloved blogs. I guess it's like your parents kicking you out but saying, "You have till next month to find a place." It still stings Google, it STILL stings. 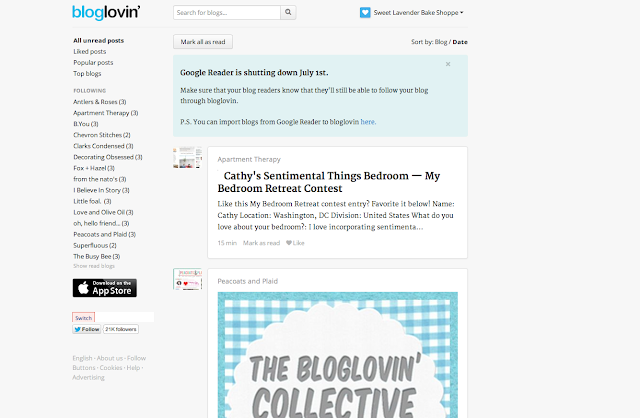 Converting to BlogLovin’ is not difficult to do, but it does involve exporting your current subscription information from Google. 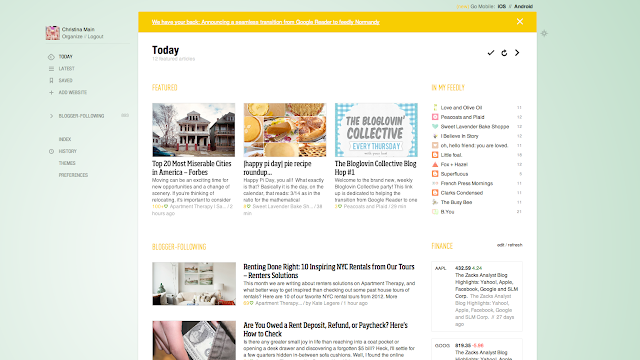 In your BlogLovin' profile, click your name at the upper right hand corner. Next from the drop box click, "Settings". Scroll down to "Other" and click, "Import Blogs". And then, "Import from Google Reader." It will ask for your permission- go ahead and grant it and they'll import all your beloved blogs almost immediately! Ahhh instant gratification! So that's one place! Yes I'm on there! If you'd like to find me, I'm here. Oh and also, if you're following me via GFC or Google Reader- make sure you add me to your BlogLovin'! I am also on Feedly! Why? Because why not. No in all seriousness I'm trying out multiple spaces and will at some point decide where I want to really stay. Both Feedly and BlogLovin' have their ups and downs- so hopefully I'll find out which are real UPS and which are deal breakers! Right now, I'm rooting for Feedly! So yeah! That's the latest news on the home front! Remember- if you follow my blog via Google Reader and/or Google Friend Connect please make sure you add me to your space of choice! That way you'll keep up to date with the latest messes news of my life and get some tasty recipes along the way!